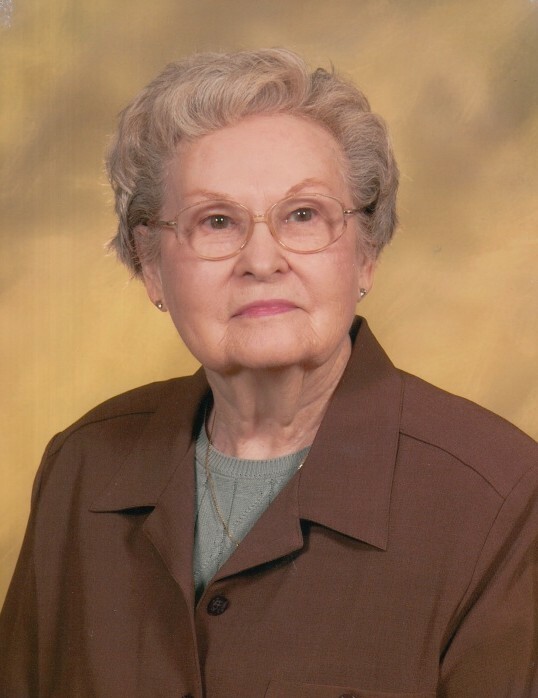 Funeral services for Laverna Horton Parrish, 99, of Girard, LA were held at 1:00 PM, Thursday, March 28, 2019 at Brown-Holley Chapel, in Rayville, LA. with Bro. Eddie Wren and Bro. James Doughty officiating. Interment followed in the Masonic Cemetery in Rayville, LA under the direction of Brown-Holley Funeral Home, Rayville. Mrs. Laverna was born February 27, 1920 in Kings Mill, AR and passed away on Monday, March 25, 2019 in Monroe, LA. Mrs. Laverna is preceded in death by her parents, Bruce and Cora Horton; husband, James Frank Parrish; brothers, Melvin, Jeffrey, Horace, Carl, Lowell, Paul, Scott, and Neal Horton. Survivors include her children, James Parrish, Susan Blanchard, Paul Parrish and wife, Monica, Kathleen Parrish; grandchildren, Terry Parrish, Matthew Blanchard and Douglas Parrish; great grandchildren, Logan Parrish, Melody Parrish, Tabitha Parrish, Lily Blanchard, Philip Blanchard, and one expected in September; numerous nieces and nephews. Pallbearers were the Deacons of First Baptist Church, Rayville, LA, Jim Adams, Claude Mercer, Fred Lambert, Dustin Morris, Rhett Gable, and Grover Burgess.